Sri Lanka President Maithripala Sirisena on Saturday paid the Philippine National Police a visit at its Camp Crame main headquarters in Quezon City to consult the PNP on how to deal with the drug menace in the South Asian country. Sirisena was welcomed by the PNP chief, Director General Oscar Albayalde. A conference meeting was then held with Sirisena and officials of the PNP, Department of the Interior and Local Government and other agencies involved in the Duterte administration’s war on illegal drugs. It was the first time that a world leader visited Camp Crame. “I think [he] also realized that [the Philippines and Sri Lanka] have the same problem… The president of Sri Lanka was very appreciative of what we presented to and he saw the [Philippine] government’s approach [to] the campaign against illegal drugs and said [he] would like to apply it to [his country], too,” he said in a chance interview. 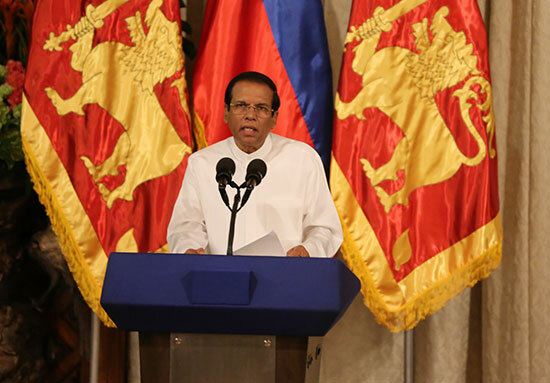 Shortly after his arrival on Tuesday in the Philippines, Sirisena cited the local crackdown as an “example” to the world. The campaign was initiated by President Rodrigo Duterte when he assumed the presidency in 2016. Albayalde said Sirisena told him that Colombo has adopted some features of the Duterte administration’s campaign against illegal drugs. “He said there are some methods [that] are already being applied and if there is anything to improve their campaign against illegal drugs, our presentation to them is a big help,” he added. Based on the latest figure of Real Numbers PH as of November 2018, there were 5,050 alleged drug suspects killed in anti-drug operations since 2016. Various human rights groups, however, believe the number of casualties is higher than 12,000. Albayalde said the PNP already filed charges against 438 police personnel who committed human rights violations during anti-drug operations. “That is why we are saying that it (drug campaign) is not perfect because we filed cases of human rights against our own personnel and that is initiated by us and the CHR (Commission on Human Rights) [was] still not even in the picture at the time,” he added. 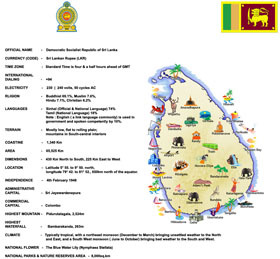 Sirisena is in the Philippines for a five-day state visit.